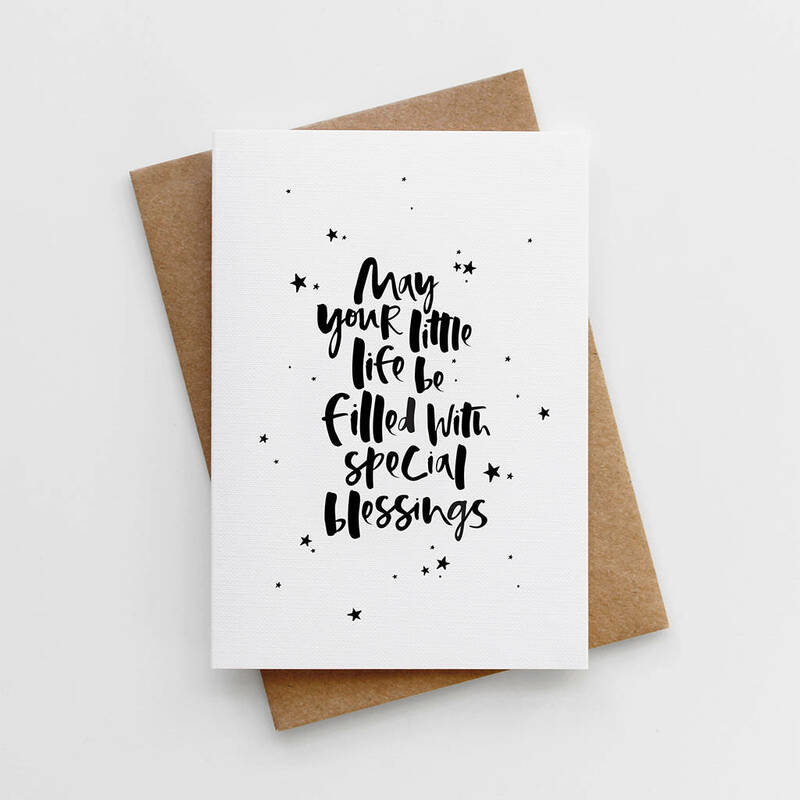 A beautiful, hand lettered Christening card for a special little person. 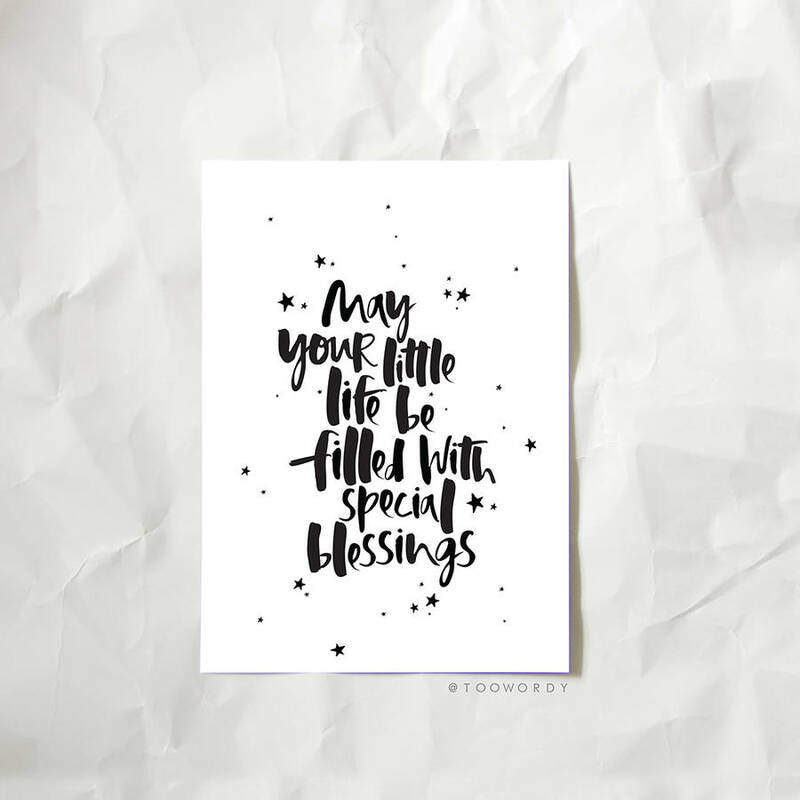 The perfect card with a sweet and sentimental message to accompany a gift for a christening or naming day or welcome a new baby into the world. 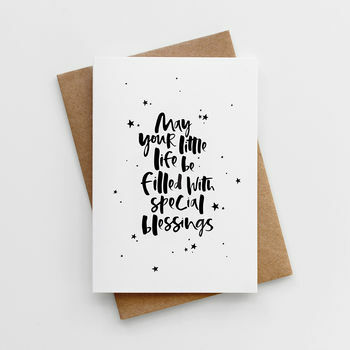 Originally hand written in our signature style lettering the words 'May your little life be filled with special blessings' is printed on to luxurious FSC certified textured 350gsm card and teamed with a recycled kraft envelope.